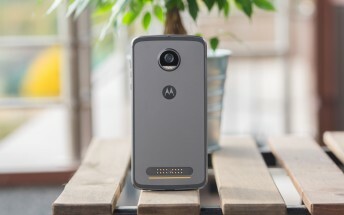 If you are a Motorola fan in the US and are planning to purchase a new smartphone, you'll be glad to know that the company is currently offering discounts on multiple devices, including the Moto Z2 Play, Moto Z, Moto G5 Plus, Moto E4 Plus, and the Moto X4. First up is the Moto Z2 Play, unlocked variant of which is currently going for $349.99. That translates into a discount of $150, given that its the usual price tag it carries is $499.99. Next up is the unlocked Moto Z, which currently has a $75 discount on it. This means you'll have to shell out $425 instead of $500. Now, coming to the Moto X4; Motorola is offering a $50 discount on the handset, bringing the price tag down to $349.99 from $399.99. As for the rest of the devices, the Moto G5 Plus deal saves you $30 on the 32GB variant and $60 on the 64GB model. Similarly, the Moto E4 Plus has $20 off on the 16GB model and $30 off on the 32GB variant. Aside from the Moto X4 and Moto G5 Plus deals (which run through December 24), all other promos end December 23. For more info, head to the Source links below.